Complaints can happen in many different businesses and organisations. This course looks at ways that these complaints can be best handled to ensure that the best outcome is reached quickest and within the workplace policies and procedures. The course covers the basics of complaint handling to educate employees that there are correct procedures to follow. 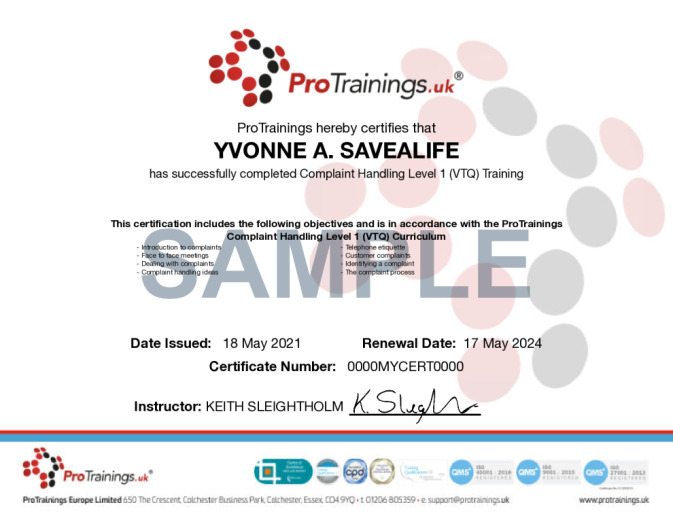 This course comes with 2.0 hours of CPD, although the time to complete the course online may be less than this. Total course time includes 26 minutes of video training as well as knowledge reviews, final test, remedial help and reviewing downloaded material.